"Every 45 seconds a child in Africa dies from malaria, a disease spread by a single mosquito bite. There are more than 200 million cases of malaria each year, and nearly 1 million of those infected die from the disease — most of them children under the age of five." That's on the Nothing But Nets website and there's something we can all do to help. We can donate $10 for a life-saving bed net to protect families in Africa from getting bit by a mosquito. There's something else we can do: attend the third annual Bay Area World Malaria Day Symposium, set for 8 a.m. to 3 p.m., Friday, April 25 on the Clark Kerr campus, UC Berkeley. It promises to be a day of innovation, knowledge-sharing and collaboration, announced Kay Monroe of Zagaya, the event host. The schedule of events will be presented the day of the symposium. 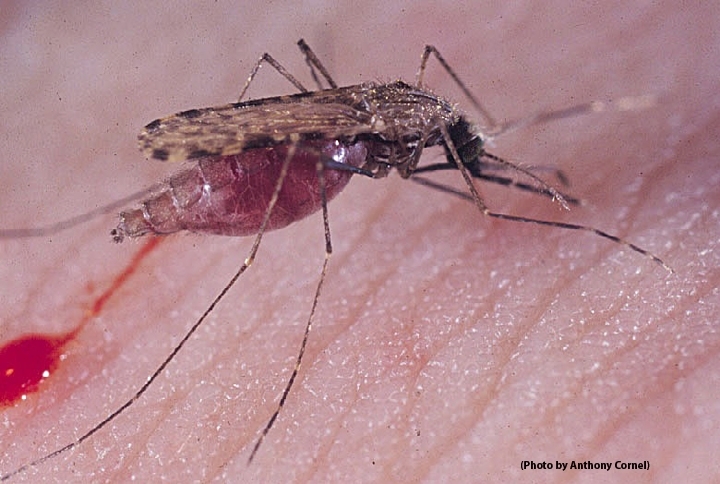 Thirteen UC Davis researchers who study the malaria mosquito are scheduled to participate. They include Gregory Lanzaro, professor, and Yoosook Lee, assistant researcher in the Department of Pathology, Microbiology and Immunology (PMI) in the School of Veterinary Medicine and Shirley Luckhart, professor in the Department of Medical Microbiology and Immunology, UC Davis School of Medicine. Lanzaro and Luckhart are graduate student advisors in the UC Davis Department of Entomology and Nematology. Lanzaro's Soundbite presentation,"Malaria in the Americas: A New Research Initiative for the UC Davis Vector Genetics Lab," will key in on the challenges of malaria control in Brazil. 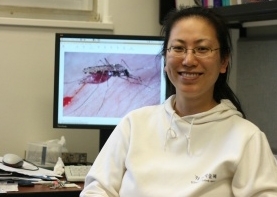 Lee's Soundbite presentation will be on a new diagnostic tool for malaria mosquito research. Luckhart is scheduled for both a Soundbite and poster. Two of the UC Davis presenters, Laura Norris and Bradley Main, are National Institutes of Health T32 postdoctoral fellows. They will cover the topic of malaria vector evolution in the face of insecticide pressure from bed net campaign. Nazzy Pakpour, Soundbite; and Elizabeth Glennon, Kristen Lokken, Jason Maloney, Jose Pietri, Rashaun Potts and Lattha Souvannaseng, Bo Wang, poster. Tim Wells, chief scientific officer, Medicines for Malaria Venture, Geneva, Switzerland, who will share the latest efforts to develop new drugs aimed at wiping out malaria. Joseph DeRisi, professor and vice chair of the Department of Biochemistry and Biophysics, UC San Francisco, and a Howard Hughes Medical Institute investigator, who will talk about work in his lab. Title: "A View from the Trenches – Anti-malarial Drug Development"
Regina Rabinovich, ExxonMobil Malaria Scholar in Residence at the Harvard School of Public Health, who will examine the future of malaria eradication efforts, past the 2015 UN Millennium Development goals. Title: "Beyond the Millennium Development Goals Horizon – What Will Help Drive Success Post-2015?" This year Zagaya has added to the symposium, "The Malaria Artwork Showcase," designed to display artistic representations of malaria, from the molecular to the global scale. Officials at Zagaya (which means "spear") say this is a critical time for malaria research professionals to come together, as it's one year away from the 2015 UN Millennium Development goal of halting and reversing the growth of malaria incidence. The symposium provides the forum for researchers, implementers, advocates and students to "inspire and catalyze change for the greater good." Registration is open and ongoing until the day of the event. General registration is $50, and students, $25. A portion of the registration fee--$10--will go toward purchasing bed nets via the United Nation's Nothing but Nets program, a global, grassroots campaign to save lives by preventing malaria. The nets are considered one of the most cost-effective tools to prevent the spread of malaria. How effective? Statistics show that bed nets can reduce malaria transmissions by 90 percent in areas with high coverage rates.